By participating in College Now (CN), you are beginning to build your academic record at CUNY. Students are required to activate their CUNYfirst account to view their grade(s) and unofficial transcript. Grades will not be mailed or emailed, and we cannot provide students or parents with grade results. Please Note: If you intend to attend John Jay, the grade you earn in the College Now program at John Jay will be calculated in your GPA. To activate CUNYfirst, type http://www2.cuny.edu/ in your browser. 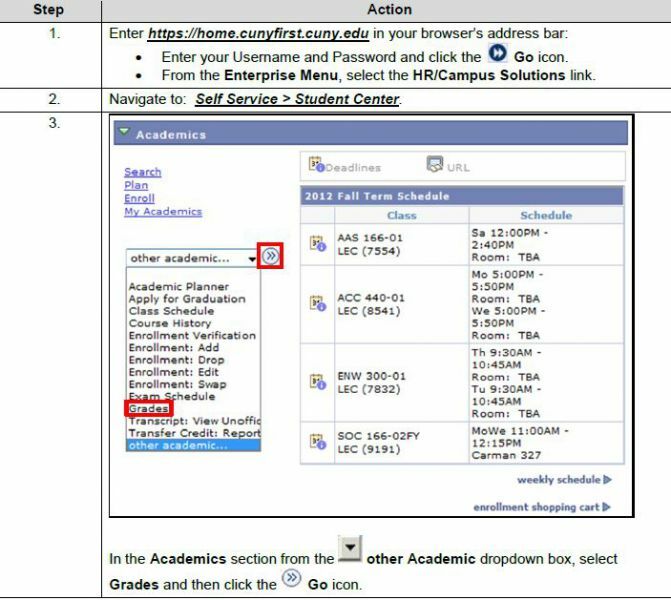 Once your CUNYfirst account is activated, a confirmation screen will appear with your username (i.e. if your name is John Jay your username will be john.jay12.) and CUNY ID number. Make note of your username and password and keep them in a safe place; you will need to update your password every 90 days. A reminder will be emailed to you at 85 days. You will not be able to re-use one of your four previous passwords. Your password cannot be changed for five days after you last changed your password. To access Blackboard, use the same username and password as CUNYFirst. Blackboard Learn allows students and faculty to participate in classes delivered online or use online materials and activities to complement face-to-face teaching. The degree to which Blackboard Learn is used at the University varies. The main purpose is to better support the development and delivery of web-enhanced, hybrid, and online instructional opportunities. There are two kinds of transcripts: Student Copies and Official Copies. Student Copies are unofficial copies that the student can request for his or her own records. Official Copies are not given directly to students. They must be prepared and processed in the order received. Sealed Official transcripts mailed to students are stamped "Issued to Student". Upon completion of the class, students can request a copy of their transcript; transcripts are not automatically sent. In order to transfer your College Now credits to another college/university you must submit your Official Transcript to the receiving college/university. If you participated in multiple College Now programs you must request an Official Transcript Request from each program. What does this mean to my student and me? In accordance with FERPA, the College will disclose the academic and financial records of a student to a third party provided the College has written consent from the student on file. Your student will need to fill out this form in order for the College to release information to a third party, including parents. Without this form, parents CANNOT conduct College business on the student’s behalf at ANY office.